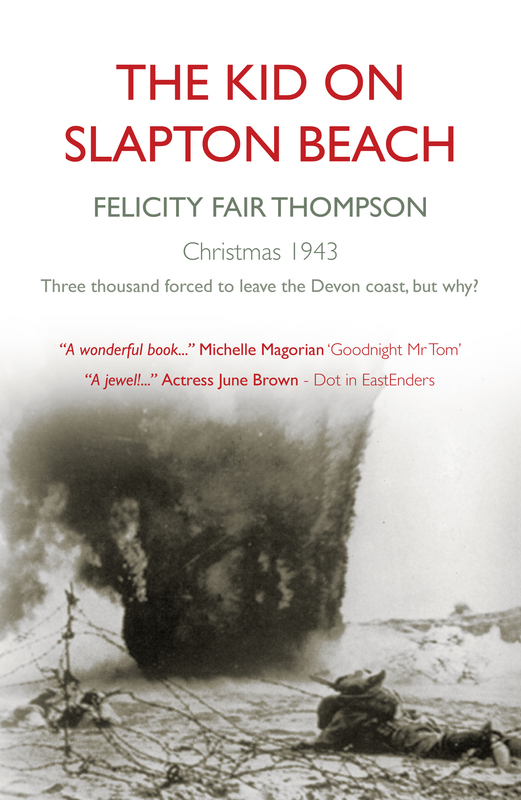 This evening in the Library we have Felicity Fair Thompson, who has dropped in to say hello and to share some insights into her life as an author. I was born in Australia and after a short career in ballet in the UK, I spent several years as Senior Assistant Manager at the Odeon Leicester Square, the first woman in Rank’s West End Cinema management team. In 1977, I settled on the Isle of Wight where my interest in photography and travel expanded into film making and writing. I have a Masters degree in Screenwriting: University of London, and have taught Short Film independently and for Screen South. My last film, a drama documentary about Carisbrooke Castle was broadcast on SKY TV, and over the 2014 Christmas period on Thats Solent TV. Three of my other fourteen travel films made for the retail market have been shown on Australian television. My published writing includes two children’s stories, an EU funded community play, scenic travel features, theatre reviews, poetry, personality profiles and three novels – The Kid on Slapton Beach has had rave reviews: see www.wightdiamondpress.com. From 2000 to 2005, I founded and hosted the Weekend Writers’ Conference on the Isle of Wight, with speakers and delegates attending from Britain, Europe and the US. I gave workshops alongside Sir Andrew Motion at the Tennyson Bicentenary celebrations at Farringford, and I am one of The Shore Women poets. I teach Creative Writing independently – http://www.learnwriting.co.uk, and at the Isle of Wight College, and I work one to one with young people with learning difficulties. As a child I did read, fiction and poetry, but I wrote my own stories too. I love reading – but it’s hard getting time for it. I want to read a book cover to cover – I want a book I can’t put down. More than particular genres, I want wonderful stories, and emotional engagement. Both. Making travel films for retail taught me I could market and distribute my work, so with changing times, I wasn’t afraid of starting a tiny publishing firm and through that publishing my own writing. I write personal dramas – rights of passage, and domestic drama, but I think more importantly my writing has a common theme – characters who are prepared to chance everything, jeopardise everything, to do what they need to do. It is true of my three novels – and my children’s stories. I think it was my mother, Joan Kinmont. 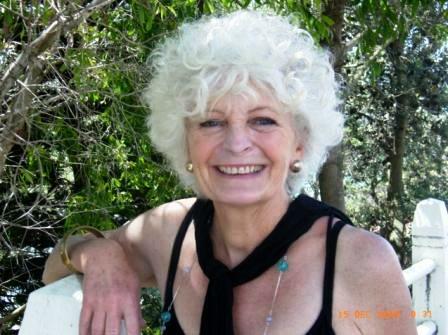 She was a writer herself – of plays and narrative poetry. I remember her winning a playwriting competition where the judge was Noel Coward, and the stars in her eyes that night in Sydney when he presented her with the prize. Her narrative poem, This My Son, held the record for the most book sales in Australia from 1939 to 1952. She taught me to like stories, and better still she took us to the theatre all the time too – ballet, opera, plays, revue, and film. Sometimes Australia has influenced me. In my first novel Cutting In, my heroine is Australian. Maybe that makes her more outspoken. Maybe it makes her need to prove herself in her new surroundings… I have written a screenplay set in Australia. Maybe I get cold when I sit still for ages writing because of less sunlight in UK, and that makes me write into dark places! Getting enough time is the hardest. It’s difficult not to be distracted by everyday life. You just have to make time – persevere, and keep going. Writing takes time and concentration – and focus. I’d write all day if I could. I like daytime writing – it is quiet and undisturbed, but I do teach too so I have to work around other commitments. I find great satisfaction in making the characters come to life, getting my reader to think these invented people are so real they will invest their time in them, believe in them, want them to succeed. The worst thing is the time it takes to achieve that! Social media isn’t a chore but it is essential. It can be fascinating, but sometimes I spend ages trying to figure out how to do something! But when it suddenly works, and you know it looks how you want it to, it’s wonderful! I like twitter better than facebook because it is slightly easier to work, but I’m far from an expert on either! I haven’t got a handle on linkedin! Pinterest I want to do but haven’t quite made my way in yet. The thing that concerns me most is using writing time to use any of these amazing opportunities. I would be dreaming stories, or painting them maybe. I would probably be doing more teaching. If it’s really then end of the world: The Book of Common Prayer – to end on the beautiful language and phrasing. I’d like to tell you about The Kid on Slapton Beach. It is historical fact told through fictional characters. It has sold more than 2000 paperback copies in just seven indie book shops by direct sale from the publisher, and that’s not including chain book shops, worldwide and internet sales. Young Harry is one of three thousand people forced to leave the UK Devon coast in the Second World War as US troops move into the area for secret D-Day rehearsals in April 1944. But what if your most treasured possession is left behind? It’s hard to tell a story about a secret and not involve the internet. Previous A Lady is Never Seen Without her Hat!